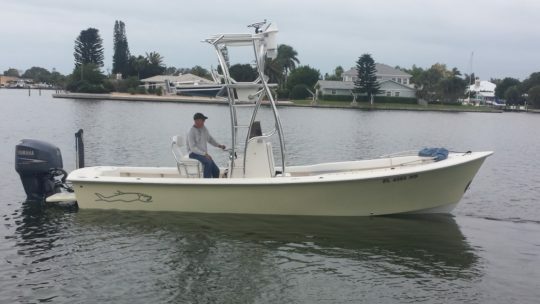 2006 Gause Built 26 with 250 Yamaha .This boat also features the tackle center leaning post with a Frigid Rigid slide out cooler , Garmin 5212 at the lower station and a Garmin 4208 at the upper helm , JL Audio stereo system , VHF , interior lighting package , fresh water wash down , dive plate form , 8 ft Power Pole . This boat also has the shade for the family trips featuring the dodger top with side windows and the front deck cushion set. The hull color is a pale yellow that is a lighter color than Fighting Lady Yellow . The 250 Yamaha 4 stroke has been properly service here at Gause Built every 100 hours since new . Also includes a full boat cover .